UN Security Council condemns continued use of chemical weapons in Syria as OPCW investigates alleged chemical use in Eastern Ghouta. The UN Security Council on Tuesday condemned the continued use of chemical weapons in Syria and reaffirmed the need for "a mechanism" to hold all those responsible accountable, The Associated Press reported. The council also reiterated in a statement that the use of chemical weapons is a serious violation of international law and said that it supported the Organization for the Prohibition of Chemical Weapons' (OCPW) investigations of allegations of their use. The statement was issued after a closed meeting Tuesday with the head of the OPCW, Ahmet Uzumcu. Uzumcu had said earlier on Tuesday that the OPCW had received several allegations of chemical weapons use in Syria's Eastern Ghouta enclave. He acknowledged, however, that a thorough investigation of these claims will be difficult. A fact-finding mission set up by the OPCW had so far investigated more than 70 cases of toxic gas attacks in Syria since 2014, out of a total of 370 allegations, he added, according to AFP. "There have been several" allegations of chemical weapons use in Eastern Ghouta, Uzumcu told reporters ahead of the closed-door meeting with the Security Council. "Our experts are looking at them, but clearly since this is an enclave, it's very difficult to have access to information and material," said the OPCW's director general. There have been several reports in recent weeks that Syrian President Bashar Al-Assad's forces have used chlorine gas in the rebel-held area near Damascus. The Syrian regime has repeatedly denied using chemical weapons and blames “terrorist groups” including the Al-Nusra Front and Islamic State (ISIS) for the attacks. "What worries us is that in areas liberated from the rebels, the Syrian government discovered stockpiles of chemical weapons ready for use and that is very worrying," said Nebenzia, according to AFP. Uzumcu said the experts were looking into allegations of chlorine use that were attributed to both the Syrian army and to rebel groups. A UN-OPCW Joint Investigative Mechanism (JIM), established by the United Nations to identify those responsible for chemical weapons attacks, concluded in 2016 that Syrian government forces had used chlorine as a chemical weapon in three cases. Syria and its close ally Russia rejected those conclusions. The JIM concluded last year that Syrian government forces were also behind a sarin nerve agent attack on Khan Sheikhoun last April. 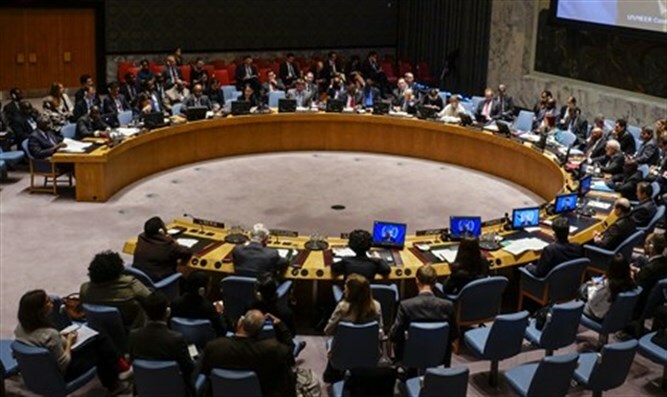 A renewal of the mission's mandate was vetoed by Moscow at the UN Security Council. Russia maintains that the JIM was biased and unprofessional.